There are no limits of benefits that entrepreneurs are reaping from social networking platforms. Being focused on ‘Online Marketing’ as a whole, involves other platforms as well, such as; video marketing, search engine marketing, and etc. However, without any doubt, social media stands out amongst the number of online marketing options available. Social networking platform was once a place where people used to share their common interests and pass quality time. But now it is much more than that. It has now evolved into a marketing platform where small companies grow beyond their capacities to become a renowned brand, over a certain amount of time. Why should you focus on social networking? When you introduce your products and/or services over different social networking sites, you seek attention of online users who are your targeted customers. You connect with them and get to share your business details. Social sites act as places where you can meet thousands of people who might be interested in buying your products or services. So if you speak the word out over different social sites, you are targeting millions of users sharing the same interest. Although, it might take a great amount of time for you to establish your brand’s reputation over the world of social media, but it’s certainly going to result well in the long run. It is one of the easiest way of expanding your business. What is the relationship between social networking and other online marketing platforms? A word over at social networking site is spoken over different online marketing platforms including search engines, forums, blogs, news portals, video sharing sites, and etc. These were just to name a few. There’s certainly no limit to it. It depends on the way you explore different social networking platforms and use them to target potential customers. With some worthy efforts, you can make your products/services go viral over the web through different search engines and video-sharing sites too, if you use your social media marketing tactics the right way. How to use social networking? For a start, you need to sign up at different social sites and create your fan base. Share your brand with communities and people belonging to the same industry. It’s better to have a blog too so that you can share your daily updates with users who are interested in what you are offering. It also helps you to interact with your immediate customers and take their feedback for improvement. If you think you are doing great on social media sites, check your visitor’s analysis from search engines to see how well you are doing with search engine marketing. 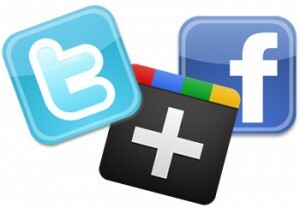 Since, you out your efforts on social sites; you also get positive results from search engines. Sharing your brand at news portals, forums, blogs, and other places is a secondary thing. Social networking is the first step to online marketing. It will lead you to other secondary options automatically. For example, some of your products/services would be shared on other resources by your visitors who are really interested in them. Remember that social networking is the main resource of online marketing. If you’re looking in for some small benefits from social networking and online marketing, you’re obviously not on the right track. Think big, start small. That’s exactly how it goes in the world of social media marketing!